It’s hard to believe, but life is getting even better for the Gonzaga women’s basketball team and their fans. On Monday night, the NCAA’s first bracket reveal showed Gonzaga as a No. 4 seed in the Portland Regional of the NCAA Tournament. That confirmed an earlier prediction from ESPN bracketologist Charlie Crème, who predicted that the 13th-ranked Zags will earn a No.4 seed. That’s big news. If they’re right, it would mean GU would host first- and second-round games next month. It also would be the school’s first time as a host since the NCAA shifted to seeding as the sole criterion for hosting, in 2013. All of that comes with a few caveats. For one thing, Crème has been wrong before, but he has a better track record than rival prognosticators. Last year, on the eve of Selection Monday, he had GU as a 12 seed (they were 13th), while others penciled in GU as a single-digit seed. This time Crème is the optimist: College Sports Madness has the Zags as a No. 6 seed and getting shipped to powerhouse South Carolina, the 2017 NCAA champion. With a 22-2 overall record (11-1 in the West Coast Conference) and a No. 13 ranking in the RPI, the Zags certainly have the resume. Only four teams (Baylor, Louisville, Oregon and Mississippi State) have better records than Gonzaga. They’re also keeping good company. Last year the WCC ranked 14th in conference RPI; this year it’s eighth, thanks to a strong nonconference record. As of Monday, BYU checked in at 31st in RPI, while Saint Mary’s is 57th, Pacific 76th and Loyola Marymount 103rd – a rising tide that has kept GU’s RPI in the teens. Of course, the Zags must keep winning, but they can burnish that resume further this week by winning a pair of WCC home games. First up is last-place San Diego (7-15 overall, 1-11 in the WCC) on Thursday night. On Saturday it’s BYU, which hung a 70-68 defeat on the Zags back on Jan. 16. That put BYU alone in first place, but the Cougars have dropped three straight since then, leaving GU with a two-game lead on the field. 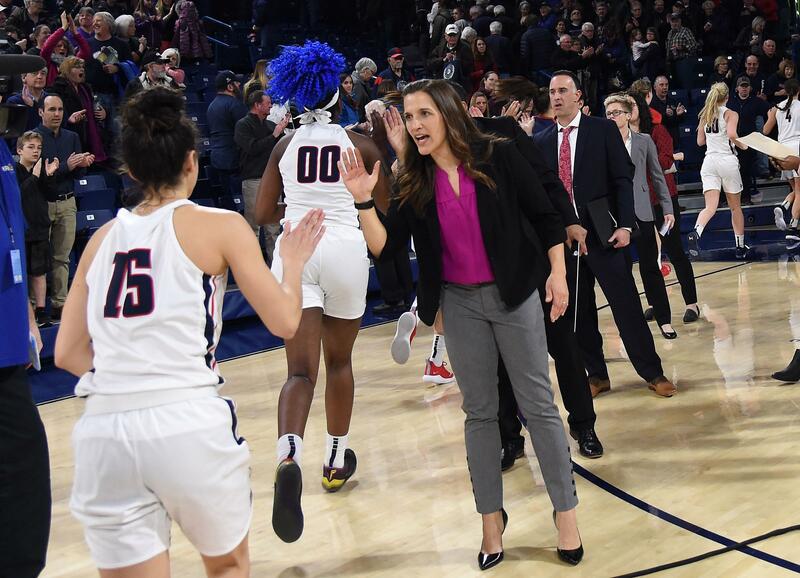 Two more wins this week and the Zags would all but clinch the WCC regular-season title; it would be their fourth in five years under coach Lisa Fortier. Of course, fans want more. Crème’s prediction will come true if the Zags run the table, but that would mean eight straight wins. Published: Feb. 11, 2019, 8:17 p.m.